You can add Daily Show jefe Jon Stewart to the list of folks who bring out the best in David Letterman. Last night, Dave explained to Stewart that Oprah Winfrey “hated” the Late Show host way before his Academy Awards Oprah/Uma gag because he apparently pulled the ol’ chew-and-screw on her while they vacationed on the same island. 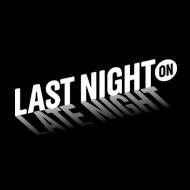 Over at Late Night with Jimmy Fallon, Jimmy and Law and Order: SVU’s Christopher Meloni have a very competitive wet T-shirt contest, and Dane Cook tells Jimmy Kimmel that working out less will prevent him from becoming Joe Piscopo, on Jimmy Kimmel Live. Best of luck with that, Dane. Wrapping things up on The Late Late Show, David Boreanaz grants Craig Ferguson’s wish for some man love from the hunky Bones star. Watch our compilation to see what you missed.